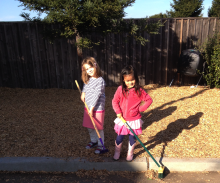 Napa Valley Montessori’s Kindergarten program is available in Redwood Room. In the Montessori environment, the child is presented with endless opportunities to develop all his senses and his motor skills with the aid of self-correcting materials in a prepared setting. During the Kindergarten year a child can now work with these materials in more depth, thus gaining more insights from them, using this base, can move into the academic areas. In the Montessori environment there is great emphasis on having a child use the concrete manipulative to transition into abstract thinking. Kindergarten is the time when the transition should not be broken. If the transition is allowed to take place in the Montessori environment, children will learn to read, do mathematical operations and begin to think about the world in terms of inter-related facts. It is a social time as well, when children are starting to interact with each other in work and play, and to pay attention to the thoughts and feelings of others. At Napa Valley Montessori, we pride ourselves in preparing the child for a future of a challenging academic life. We have over 25 years of experience including Kindergarten and lower elementary teaching experience. 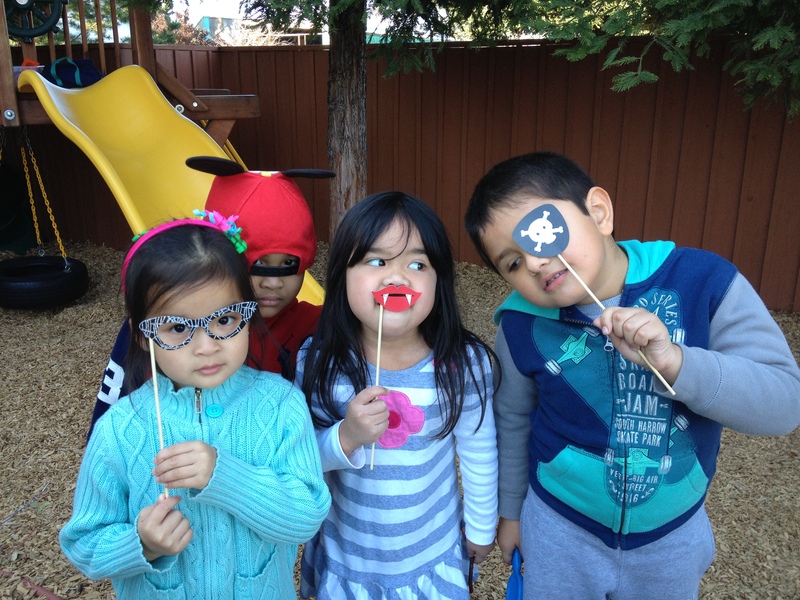 We adhere to the California state standards for Kindergarten, as well as first grade. Because our approach is individualized, we are able to take the child beyond just the standards, giving them a rich fully rounded education including the sciences, cultural subjects and social interaction. Kindergarten is in the Redwood room, a mixed-age classroom where children learn from another, have opportunities to be role models, thus developing a sense of confidence, compromise, cooperation, and self-worth. Full Day 8:30 a.m. -3 p.m. In Kindergarten, teachers introduce math and language concepts, encourage sensory development, and help the children develop practical skills they need in everyday life. We enrich this curriculum with an assortment of cultural explorations. Mathematics exploration uses real objects to demonstrate abstract ideas. 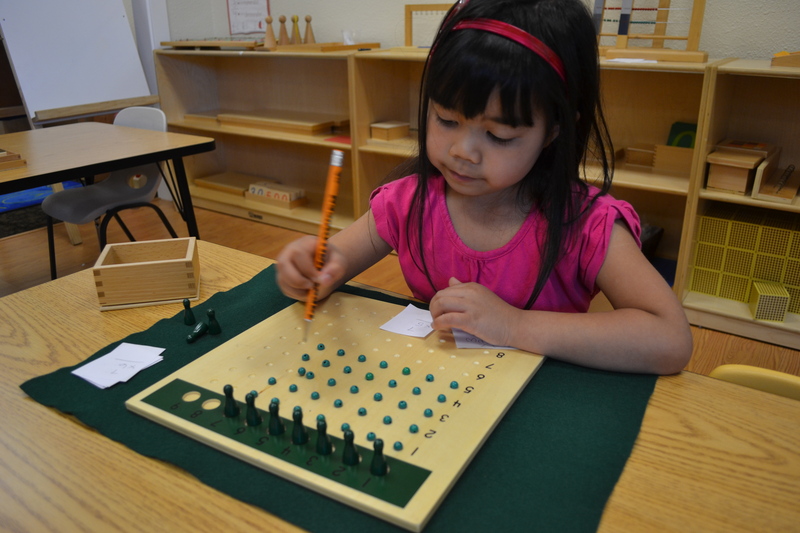 The Montessori math curriculum consists of incredible hands-on learning materials, detailed lessons, one-on-one instruction, life application, and deep levels of understanding processes, not memorizing products. Children begin learning math concepts with hands-on materials and gradually progress to abstract concepts. They learn to recognize, recite, and eventually write the numerals 1 -9,999 and to associate those numerals with the appropriate quantities. Language activities are audible and visible everywhere in a Montessori Kindergarten classroom. Detailed vocabulary is used to stretch young minds. Children build their language and literacy concepts through music, memorization, patterns, and repetition. 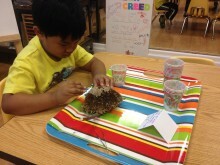 They learn vocabularies of animal and plant names and how words function in our speech. Your child will analyze sounds in our language by matching sounds to sand paper letters, and eventually using the letters to compose words and sentences using movable alphabets. The Sensorial Area contains numerous activities that assist children in refining their senses. Children of Kindergarten age are aware of their senses but need to bring order to them. Sensory experiences include color matching; color grading; discrimination of size (width, depth, height); matching items by sound, smell, pressure; organizing items by weight; and grading items by touch. This refinement helps children make finer distinctions and sharpens their perceptual skills. As a child works with the sensorial materials, he begins to classify the things around him, which leads to the child constructing his own knowledge of his environment. The Practical Life curriculum is designed to increase a child’s sense of order, concentration, and coordination through activities such as: pouring, sweeping, tweezing, and buttoning. Through these activities children learn to become more independent and feel proud that they can do things for themselves. In addition, lessons on grace and courtesy are provided. Children learn to say “excuse me” and “thank you” and to make requests politely. Classroom maintenance becomes, by and large, the children’s responsibility as they put materials away and care for plants. Cultural Experiences include Art, Music, Geography, Earth Science, History, Botany, and Zoology. These areas of study help children orient themselves to the world around them. 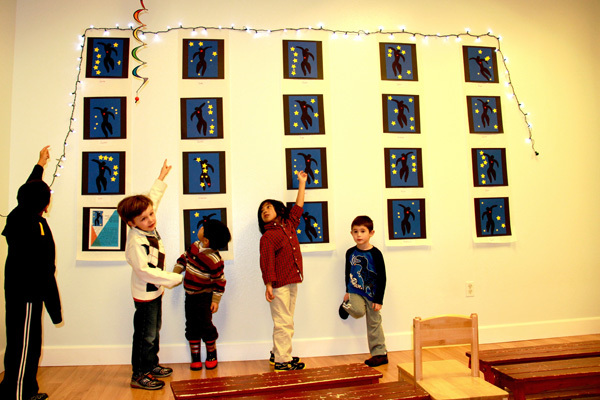 Art, music, movement, and a variety of cultural activities are an integral part of this joyful learning experience. The ambiance of the Montessori classroom provides the opportunity for more meaningful talking and social interactions than a more traditional environment. Thus, the young child is well prepared from the Montessori experiences to act as a cooperative and skilled group member in first grade.